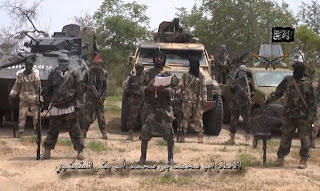 Boko Haram insurgents have launched an attack on Kuda -Kaya village in Madagali local government of Adamawa state Thursday night killing 24 people and injuring 10 others. Locals from the area told newsmen that the insurgents in their hundreds invaded the village at about 10pm Thursday night and started shooting indiscriminately at anyone on sight. Reports from the village located about 3km from Gulak, the administrative capital of Madagali local government indicated that the Boko Haram insurgents stormed the village located on the fringe of the dreaded Sambisa forest around 10 pm Thursday night while the villagers were observing wake keep for a dead member of the community. An eye witness who does not want his name in print said that the Boko Haram insurgents took the villagers by surprise as members of the community never envisage such attacks as the area has not witnessed such attacks in a while. “They stormed our village on motorbikes and immediately opened fire on the people during the wake keep. “As at the last count, 18 people were killed while about 10 others injured were rushed to a health facility in Gulak,” he said. Confirming the incident, the member representing Michika/Madagali federal constituency, Adamu Kamale said the number of casualties as at the time of filing this report could not be ascertained but noted that many members of the community are feared killed. Also confirming the attack, the Public Relations Officer of the Adamawa state Police command DSP Othman Abubakar said “so far 18 people have been killed in the attack but the number of the casualties could be much higher”.